I guess there is no need to lecture about our reliance on the ubiquitous smart phones that everyone is carrying about these days, but having lost mine for a brief period recently I suddenly seem to have attached more importance to mine and especially the data stored on it. It was a sunny day and I was out, free from my computer for a bit, running various errands that had piled up over the past week and that involved going to several places – grocery store, laundromat, gas station, car wash, etc etc, when Bam! I reached for my phone (which was supposed to be hanging from my belt by a fancy quick release doodad) and it was gone! Hmmmmm… Not in the car, so I started backtracking to the places I usually visited, but no one had seen my phone. Borrowed a phone and called my son to have him start calling the lost phone to see if someone had found it, but after an hour and a half with no results I started evaluating the consequences. Did I have a backup somewhere for all the phone contact details on that phone? Of course not. Did I have copies of the recent SMS messages? No Way. What about all those handy Skype contacts? Ditto. With the cost of a replacement phone approaching $1000 and all my contacts and information gone I was crying the blues. So back to my computer to start searching Google for some way of not only backing up all that data on the next phone but seeking ways of finding my new phone should I ever lose it. But first you should consider the possibility that your phone might never be found and so should start by backing up ALL the data on your phone. You have probably had your smart phone for more than a week so there will likely be an amazing amount stuff on it – from text messages and phone numbers to personal settings and photo libraries. A significant portion of this stuff is stuff you will want to keep, though you might not realize it right off the bat. 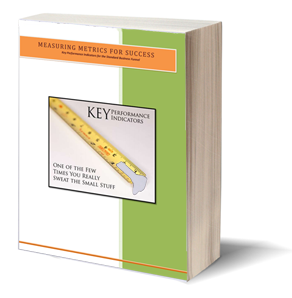 How many times have you needed to dig through an old text message conversation? Referred back to your received call list to recover a number you didn’t save? In many ways, your smartphone is more closely tied to your personal identity than your computer. So back it up – you will not only feel better but you’ll be in a position to recover it if you lose your phone. If you are using an iPhone you can automatically back up all your data to the iCloud. This is under Settings > iCloud > Storage and Backup. You can restore all that data to a new phone if necessary. 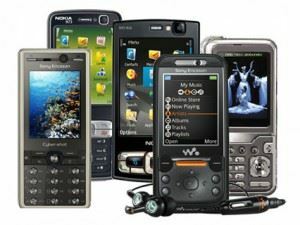 In the event you have an Android phone or other device there are multiple options as many manufacturers have proprietary schemes, but let’s go with something organic that will work with any Android phone. Your first Android backup choice might be to simply backup your SD card to your computer. All you need for this is a USB connection from your phone to your computers USB port and you are off and running, but this requires that you backup often manually and if you are like me there are other chores which will take priority so let’s look at something that is automated. There are lots of Android backup apps and as you might suspect many of them are free but the best of them will cost you a couple of dollars which is a small price to pay for peace of mind. Helium Premium ($4.99) works for both root and non-root users, and it lets you schedule backups to go to a cloud syncing and storage service, including Google Drive, Dropbox, and Box. There is a free version of Helium available, but it doesn’t let you back up to a cloud service, which is really the piece you want if you’re already making a copy of your SD card manually every now and again. G Cloud, a free download from Google Play, can almost effortlessly back up all your contacts, messages, call log, photos, music and videos stored on your Android Smart Phone or Tablet to a secure cloud location. The free download includes 1 GB of cloud storage and you can get more space (up to 8GB) from referrals and from activities like tweeting about the service. If that’s not enough you can buy more space at $32 per year for 32 GB. 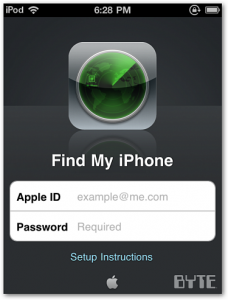 If you have lost an iPhone you can use the Find My IPhone app on any iOS device or iCloud on a Mac. This phone finder is located in the Devices folder under all devices and should show a My iPhone listing. Just clicking on My Iphone will start a search but if your phone is powered off or the battery is dead all you will get is the last known location of the phone. Once your phone is found you can go to the last known location then send out a notification (even if you have muted your phone) which will cause a loud alert tone to sound for two minutes which should help you to find it. If you are using IOS 6 or later you can then click on the Lost Mode button. In this mode if your iPhone is online, after you enter an unlock code for your phone (which should be something secure and not using anything like your SSN etc) it will immediately be locked and you can see its current location. If its offline it will lock immediately the next time it’s powered up and you will receive an email notification. Naturally Google has a system for finding lost Android phones, but even though it does not seem to work on all Androids that might be the solution for many. Just go to https://www.google.com/android/devicemanager and you should see a map with a pin on showing the last known location of your phone. On this same screen you will see options to ring your phone at top volume for five minutes and to lock or erase your Android phone. I use an HTC Desire S and it does not work for my phone so I went to Google Play where I found dozens of Droid finders and settled on a free one called Lookout Security and Antivirus which has top ratings on several sites like PCWorld, TechCrunch and Laptop Magazine. To use Lookout to find your missing Droid first you have login to the account at lookout.com you created when you downloaded the app, then login where you will see a Google map with a list of your lookout enabled Android devices and a find it button. Your phone should be found within 30 seconds or so with a location accurate to around 50 feet. (You will also get an email telling you that your phone has been found and giving you the address, coordinates and accuracy of the location.) There will be options to make your phone scream (this produces a loud siren like sound with a flashing red screen), lock your phone or to wipe your phone. So what do you do if you do not have a locator installed on your lost Android phone? Lookout has an answer for that too in their free Plan B app which works AFTER you lose your phone, but it only works on Droids with the 2.0 – 2.3 versions of Android. Look it up on Google Play for more info. So, you may ask, what phone and locator system am I using now? Well…errrr… actually I am still using my old HTC Desire which I thought I had lost but which was found by a strange quirk of fate. Somehow my photo was stored on my wife’s phone and when after I thought all was lost and was about to go buy a new phone, my wife (who does not give up easily) started calling my lost phone from her phone and tracked me down just as I was getting into the car. Victoriously holding up my phone she asked if I had lost anything. Turns out when she called the “lost“ phone my photo showed up on the phone and was recognized by the owner of the car detailing shop I forgot I had visited that day, who then answered the call and returned the phone. You might not be so lucky. You can bet your bottom dollar that all my data is backed up now and all my portable devices have locators installed.